Android devices have become powerful with super AMOLED displays and 64-bit processors. But even with such powerful device, it’s difficult to last your battery up to 24 hours. Are you fed up of charging your phone again and again? Then don’t worry today I’ll be reviewing the best app to extend your battery life. First let’s dig out the reason why your phones battery gets drained quickly. 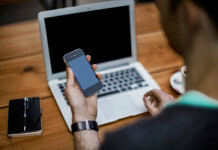 Why Your Phones Battery Die Quickly? The main reason your smartphones battery gets drained quickly is because of those apps which run is background and use your memory to download updates or show notifications. The other reason could be you have not optimized your phone settings as its best. Your screen brightness might be full even if it’s not needed. Services such as Bluetooth and WiFi might be turned on even if it’s not required. Manually stopping apps or optimizing settings, again and again, can be an annoying task. Why not we use an app which automatically sets the best optimized settings and close unwanted programs. Yes there’s an app which can do all these things in a single tap. It’s called Battery Time Saver & Optimizer. This app is developed by Liquidum Limited which are listed as top developers in Google Play store. Battery Time Saver can boost up to 50% of more battery life with just one tap. It achieves this by killing unwanted services and optimizing your phone settings. 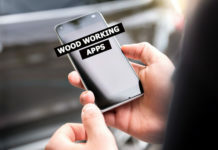 This app has a very clean interface and is very easy to use. Once you have installed battery time saver, launch it and you can see the estimate battery time left. 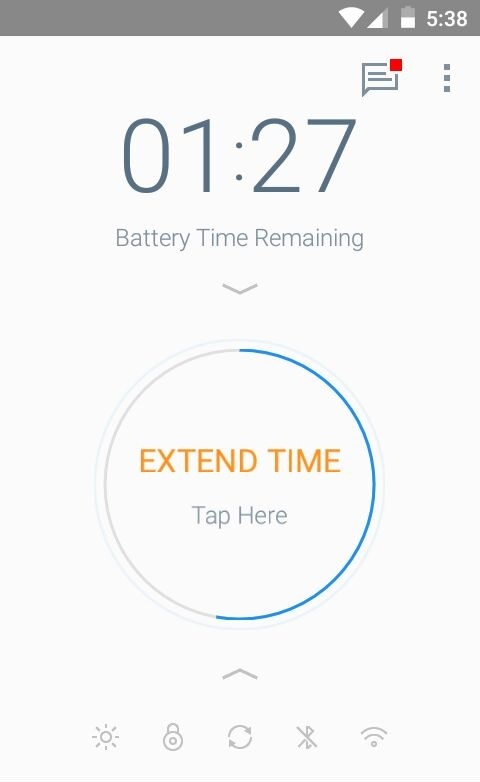 To extend your battery time simply click on the big button which says EXTEND TIME. Now battery time saver will stop unwanted apps which run in background and drain your battery. Next it will start showing you some services/settings which need to be turned off in order to extend your battery life. The best part about this is it lets you know how much minutes can be extended by turning off a particular service. 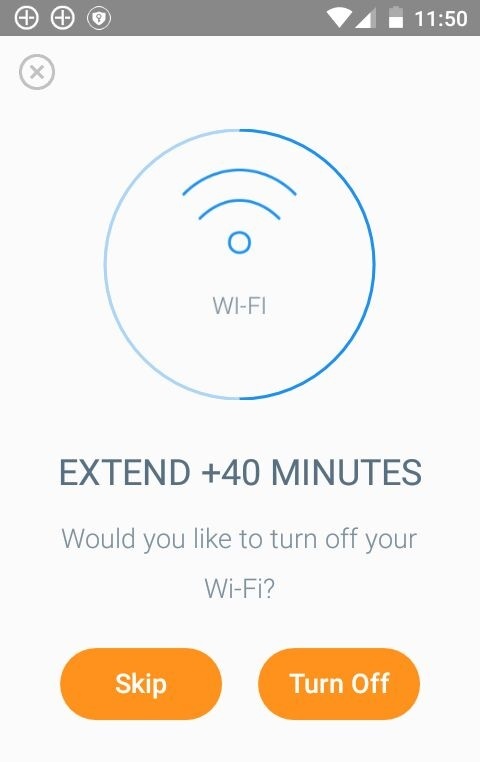 As you can see I can extend up to 40 minutes by turning off my WiFi. But I will skip this step as I need the internet connection. If you have not optimized your phone settings correctly then Battery Time might do this for you by changing brightness, screen timeout and other settings. One thing that you might notice is the estimate remaining time that this app shows doesn’t match with your android’s built in battery app. Both of them might be wrong as they just show the estimates. Also, it totally depends on the usage of your device. 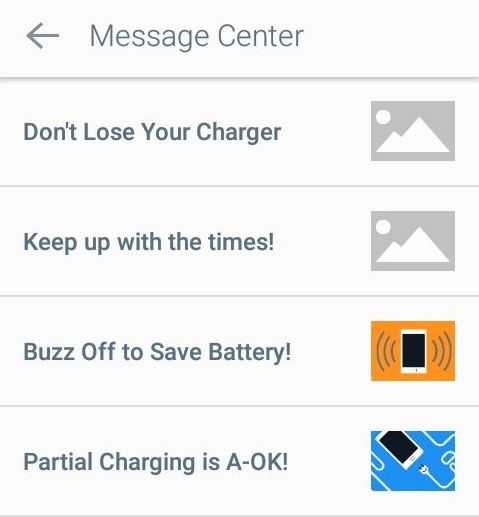 You can click the message icon to get some tips and tricks to improve your battery life. If you followed these tips correctly then you could see some good improvement in your phones battery life. Overall battery time saver is a must try app to extend your battery life of your android device.